Product prices and availability are accurate as of 2019-04-14 21:48:35 UTC and are subject to change. Any price and availability information displayed on http://www.amazon.com/ at the time of purchase will apply to the purchase of this product. Clearly Natural Glycerin Bar Soap Cucumber Description: High glycerin content Non drying; will not leave skin dry or itchy Rinses off easily; leaves no sticky film on your skin or your tub All-vegetable formula (no pore-clogging animal ingredients)No Artificial Ingredients or preservatives like parabens No Sodium Lauryl Sulfate (SLS)No Sodium Lauretha Sulfate (SLES)Hypo-Allergenic Cruelty-Free Biodegradable€" from making it to using it, these glycerin soap bars don't harm the environment Attractive, transparent style Clearly Natural Cucumber Glycerin Bar Soap is a transparent bar that provides gentle all-over cleansing for face, hands and body. 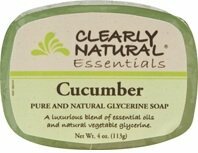 Clearly Natural Cucumber Glycerin Bar Soap mild, all-vegetable formula is ideal for all skin types. Clearly Natural Cucumber Glycerin Bar Soap has a high glycerin content of 27%. 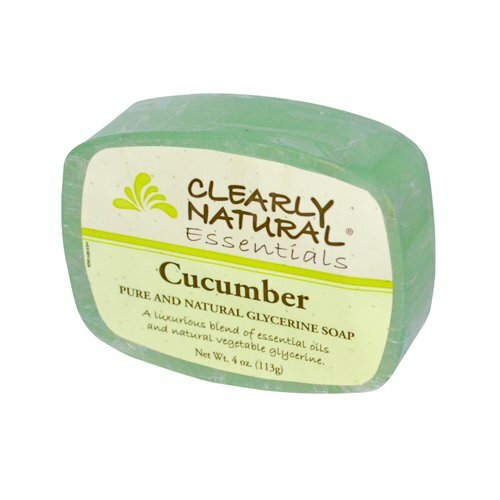 Clearly Natural Cucumber Glycerin Bar Soap is non drying and will not leave skin dry or itchy. Clearly Natural Cucumber Glycerin Bar Soap rinses off easily and leaves no sticky film on your skin or your tub. 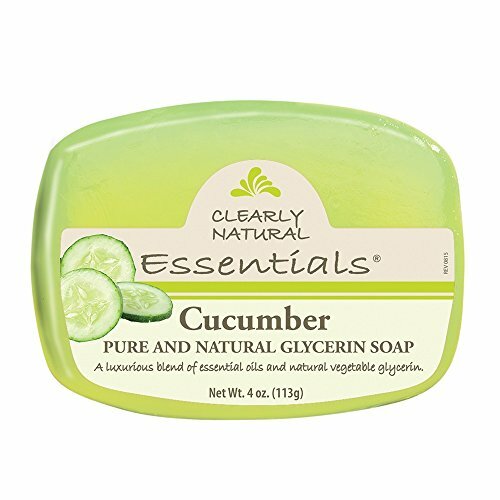 Clearly Natural Cucumber Glycerin Bar Soap is an all-vegetable formula with no pore-clogging animal ingredients. 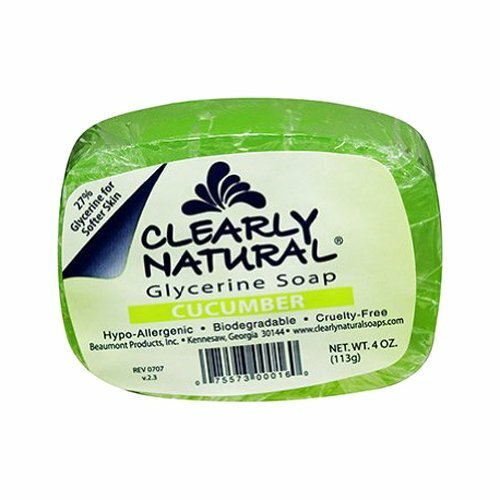 Clearly Natural Cucumber Glycerin Bar Soap is hypo-allergenic and dermatologist recommended. 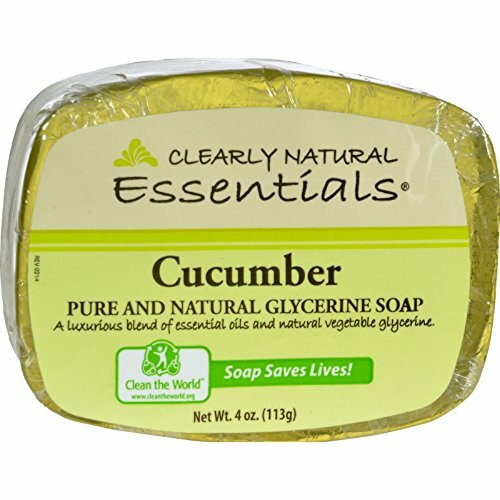 Clearly Natural Cucumber Glycerin Bar Soap is biodegradable a€" from making it to using it, Clearly Natural Cucumber Glycerin Bar Soap doesn't harm the environment. Clearly Natural Cucumber Glycerin Bar Soap comes in an attractive, transparent style. 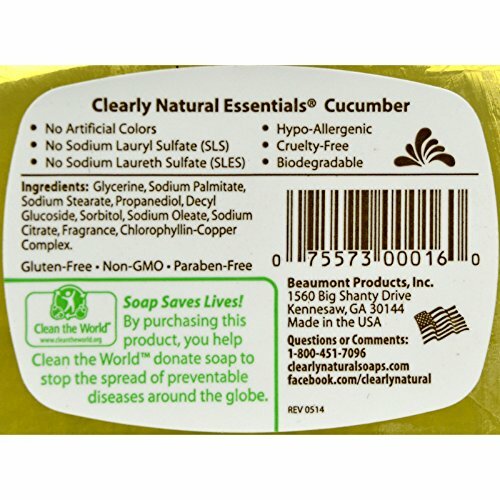 Clearly Natural Cucumber Glycerin Bar Soap is hypo-allergenic and cruelty free. You'll Feel The Difference Enriched with natural vegetable glycerin, Clearly Natural Soap leaves your skin clean, refreshed, and naturally moisturized. Clearly Natural uses a natural base of vegetable derived cleansers, vegetable glycerin, saponified vegetable oils, and natural essential oils and fragrances.